Doctor and patient testimonials are the highest compliment we can receive as a laboratory. We strive to make sure both the doctor and patient are extremely satisfied with the outcome, and we love to hear the feedback! Knowing what we do makes a difference to others is what motivates us to do the best work possible. Thank you to everyone who has given us the positive feedback, we appreciate the quality work you have provided us and the great communication provided between the Doctor and Dental Laboratory! 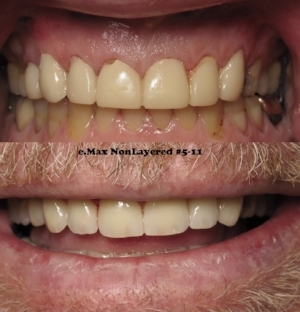 Words cannot express how thankful I am for the beautiful immediate full upper denture Renstrom fabricated for my husband! The general dentist, oral surgeon, and our families have said how fantastic the denture looked and functioned. Thank you SO very much!! Going through the denture process for him was very scary ....but seeing that beautiful denture in sure put our minds at ease. You are truly skilled in your craft! Dr D Johnson & the patient. Thank you so much for your kind words! It makes everything we do here worth while! Working at Renstrom is a joy. This is the nicest I have ever been treated as an employee - Our wonderful delivery driver Ron!